A parliamentary report of 1777 recorded local workhouses in operation in Otterburn Ward (for up to 24 inmates ) and at Rochester (24). Northumberland: Great Bavington, Little Bavington, Bellingham, Birtley, Carey Coates, Catcherside, Charlton — East Quarter, Charlton — West Quarter, Chirdon, Coldwell, Corsenside, Crookdon, Fawns, Little Harle, West Harle, Hawick, Kirkharle, Kirkwelpington, Leemailing, Nook, Otterburn, Plashet & Tynehead, Ramshope, Rochester, Shitlington High Quarter, Shitlington Low Quarter, Smalesmouth, Sweethope, Tarretburn, West Tarset, Thockrington, Thorneyburn, Troughend, Wark, Warksburn, Wellhaugh,, West Whelpington. The population falling within the union at the 1831 census had been 6,530 with parishes and townships ranging in size from Coldwell (population 6) to Corsenside (524). The average annual poor-rate expenditure for the period 1834-36 had been £3,219 or 9s.10d per head of the population. 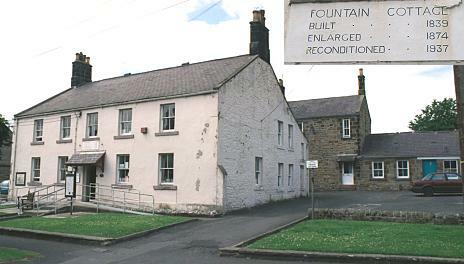 The main workhouse block is a two-storey square building that at some point, according to the plaque above its door, became known as Fountain Cottage. It was enlarged in 1874 at a cost of £700, and reconditioned in 1937. Bellingham main building from the north-east, 2001. The block to the rear was probably used as an infirmary and may be the 1874 enlargement. Bellingham infirmary block(?) 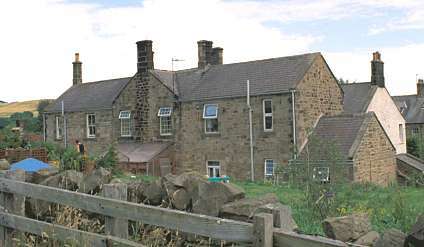 from the north-east, 2001. Bellingham infirmary block(?) from the south-west, 2001. 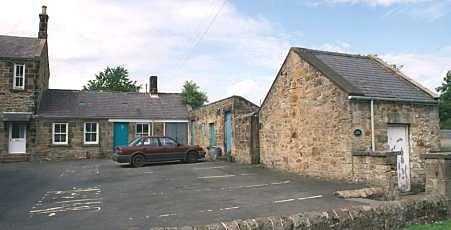 Several outbuildings surround the yard to the north and probably contained vagrants' accommodation. Bellingham from the east, 2001. The establishment finally closed its doors in 1931 and the remaining half-dozen inmates transferred to the Hexham Institution. 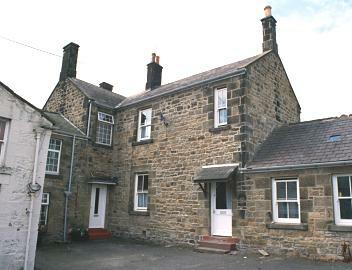 The building is still owned by the local district council and houses a tea-shop, tourist information office and library.